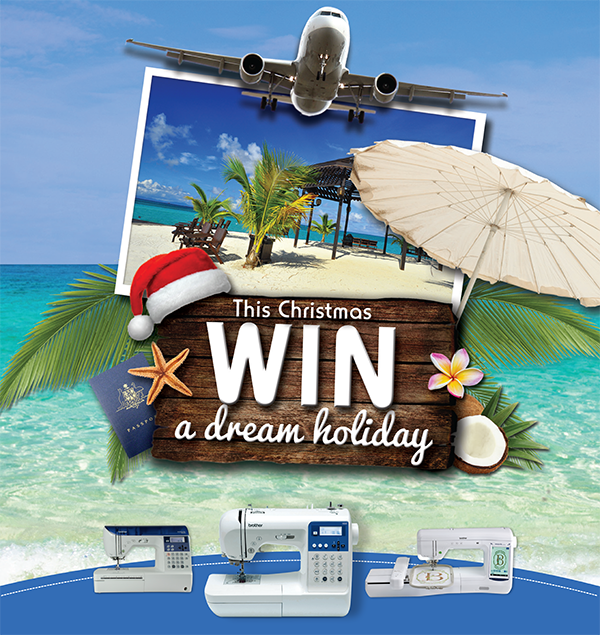 This Christmas WIN a dream holiday! For a limited time purchase selected Brother sewing machines and click on the enter now button for your chance to win a dream holiday for two people to Langkawi and Kuala Lumpur in Malaysia valued up to $9,000*. Valid claims will be awarded a platinum, gold or silver ticket depending on your purchase. Click here to enter: https://brotherdreamholiday.com.au/ and for more information! Don’t miss out! Promotion valid from November 1 to December 31 2013.